Bring a twist to traditional dreidels with this creative design. 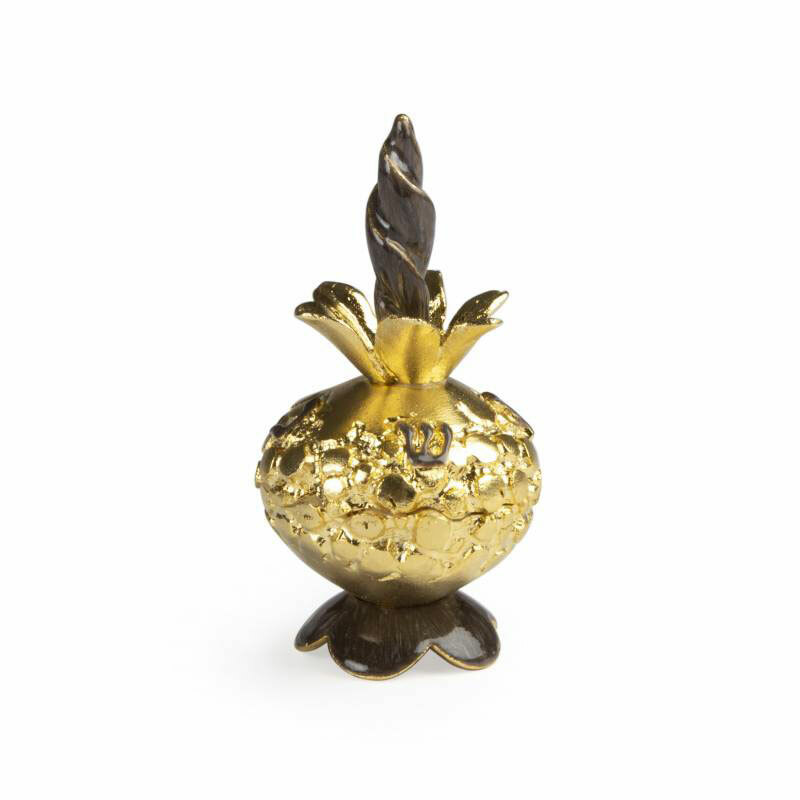 Handcrafted from pewter, this dreidel is plated in gold, glowing in the light. It is similar in design to a pomegranate, with a textured look, leaves growing from its top and a twisted stem in the center. It has a rounded shape, making for a mesmerizing spin when being used! It also comes with a matching tray for it to sit safely whenever not in use. This will make a beautiful addition to any dreidel collection! Dimensions: H 3" W 1.75"